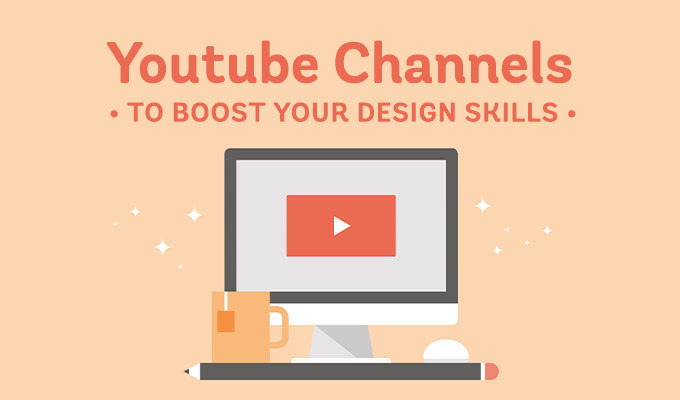 There are a plethora of YouTube Channels you can subscribe to in order to boost your graphic design skills. However, there are ten specific places where I find myself returning to and using, time and again. Let's take a look at them. Adobe Photoshop is practically the geographic center of the design industry. Their YouTube channel features a broad range of tutorials and tips. With a subscription base of over 370,000 people, Adobe Photoshop is catering to the needs of both beginners and advanced designers. At present, the most watched video tutorial is about how to use the Content Aware tool in Photoshop. Phlearn is one of the most professional-looking YouTube channels I’ve ever come across. It is run by a group of leading designers who share in-depth tutorials on a variety of topics. The channel currently offers more than 500 tutorials to a base of over one million subscribers. To date, their most popular video explains How to Remove Anything from a Photo in Photoshop. Designers can also benefit from the channel's Premium Tutorials, which are not only more complex but displayed in higher quality. Will Paterson is a famous graphic designer who specializes in logo design, Adobe Illustrator, and brand identity. What I really like about Will is the humor he tries to add in almost every video. This makes it easier for designers to engage with the information he delivers, and better relate to some of the issues he brings up. Over 150,000 people have subscribed to his YouTube Channel, and the most popular hand lettering tutorial is titled How To Use A Brush Pen. This is a great channel for newbies who are about to enter the design world. Run by a graphic designer named Swerve, this YouTube channel is particularly accessible because it shares crisp insights about the photo editing process. The videos vary from simple tips to advanced tutorials on Photoshop, Illustrator, and motion graphics. My personal favorites are his speed-art videos. The channel is regularly updated and serves over 150,000 subscribers. The most popular tutorial is called Flat design. Teela Cunnigham is an established name in the design industry. She is a graphic designer and shares her tutorials in a YouTube channel called Every Tuesday. As expected, all new videos are posted on this day of the week. Most of the videos explain how to use tools like Adobe Illustrator, Photoshop, and InDesign. Her videos about hand-lettering are also viral among users. With more than 100,000 subscribers, Teela shares tutorials that are directed at all skill levels. Out of all the videos posted, the one about 3 Simple Tricks for Unique Watercolor Textures is the most viewed tutorial. If you are a photographer or looking forward to starting a career in photography, then Gavin Hoey's YouTube Channel is a must-watch. PhotoGavin is a part of his website GavTrain.com, which is an authoritative resource to learn photography and Photoshop. Most of his tutorials revolve around digital imaging and photo manipulation. The most popular video on this channel is called Timelapse Photography Tips From Start to End. The total number of people who have subscribed amount to over 250,000. Ch-Ch-Check It is a YouTube channel as intriguing as its name. You will find a diversified range of tutorials based on Photoshop, After Effects, Minecraft, and even HTML. With a quarter of a million subscribers, this YouTube channel is an ideal place for learning animations. Their most watched video is titled How to Remove a Background, Then Add Another. Of all the YouTube channels which I've shared so far, CreativeStation is unique regarding the type of tutorials it offers. Instead of the traditional tutorials, you find speed art videos that are amazing to watch. The channel also accepts submissions about speed art videos from other users, provided that the videos are in HD format with no copyright music. Roberto Blake is a well-established entrepreneur, speaker, and author who runs this creative YouTube channel under his name. He has more than 150 videos in his graphic design playlist and 100+ Adobe tutorials based on Photoshop, Illustrator, InDesign, and even Dreamweaver. Aside from design tutorials, Roberto also speaks at events where he shares insights about video marketing, brand development, among other design business topics. So far, over 250,000 users have subscribed to his channel, and the most viewed tutorial is 10 Ways to Make Passive Income Online. When it comes to learning professional photography, Glyn Dewis's videos are a must-see. Glyn is a long time practitioner in photo retouching. His YouTube channel features cool tips about brush-up photo work to an audience of over 100,000 subscribers. Out of all his videos, the most popular one is titled as SPEED RETOUCH: Grunge Effect.